Known as the ‘father of the Indian nuclear programme’, Dr Homi J. Bhabha was born on 30 October 1909. ThePrint remembers him on his 109th birth anniversary. Bhopal: If India is a prominent player in nuclear energy today, it has Dr Homi Jehangir Bhabha and his foresight to thank for it. 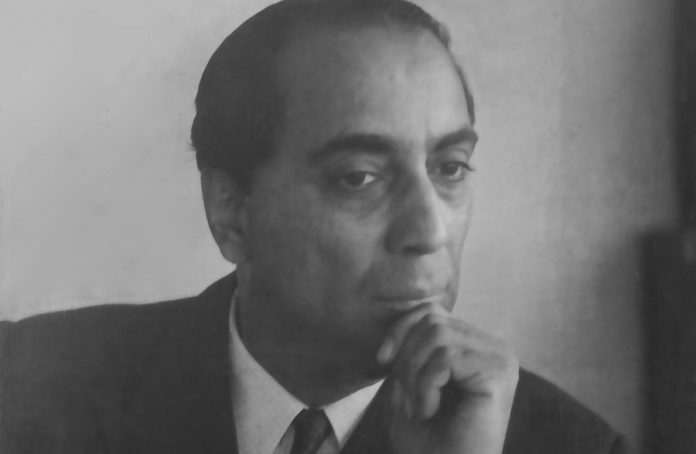 Bhabha, known as ‘the father of the Indian nuclear programme’, was born on 30 October 1909 in a well-educated and aristocratic family, which introduced him to fine arts, music and high culture at an early age. His father Jehangir Hormusji Bhabha was a reputed lawyer while his mother Meheren also belonged to an illustrious family. Jehangir’s sister Meherbai was married to Dorabji Tata, the son of legendary industrialist Jamshedji Nusserwanji Tata. Jehangir and Dorabji sent Bhabha to Cambridge University to study mechanical engineering in the hope that he would join the Tata Iron and Steel Company at Jamshedpur. However, at Cambridge, Bhabha discovered a passion for physics. After convincing his father, he followed up his engineering degree with one in theoretical physics, before pursuing a doctorate in 1934. During this period, Cambridge emerged as a hub of physicists, which brought Bhabha in touch with several leading lights of the field who would go on to play a huge role in the Second World War, namely Niels Bohr, James Franck, and Enrico Fermi, among others. In 1940, when Bhabha was just 31, he was elected a fellow of the Royal Society London. However, by this time, he was in India, with the breakout of the Second World War in 1939 disrupting his plans to return to the UK after a vacation at home. As a result, he joined the Indian Institute of Science, Bangalore, as a reader in theoretical physics under Nobel laureate C.V. Raman. It was around this time that he wrote to the Tata Trust, seeking support to set up a centre for research in nuclear science. This led to the setting up of the Tata Institute of Fundamental Research, which has emerged as a fountainhead of Indian research in physics, chemistry, and mathematics. Bhabha then convinced Prime Minister Jawaharlal Nehru, who would go on to become a friend, to set up the Atomic Energy Commission in 1948, with him as its first director. Six years later, the government set up the Department of Atomic Energy, with Bhabha as its secretary. He was awarded the Padma Bhushan in 1954 for his outstanding contributions to nuclear science. It was the same year that Bhabha established the Atomic Energy Establishment for multidisciplinary research essential to India’s nuclear programme. A year later, in 1955, he was appointed the president of the United Nations Conference on the Peaceful Uses of Atomic Energy in Geneva, Switzerland. Over the years, his friendship with Nehru and later Prime Minister Lal Bahadur Shastri helped give a fillip to the cause of nuclear research. His sudden death in a plane crash in 1966 in Switzerland left a huge vacuum in India’s nuclear establishment. Following his death, PM Indira Gandhi renamed the Atomic Energy Establishment, India’s premier nuclear centre as the Bhabha Atomic Research Centre (BARC).